Many doubts and questions may arise in everyday working life. 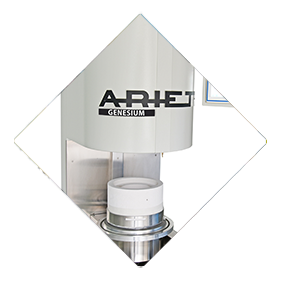 That is why Ariete, specialist in equipment for dental laboratories and investment casting, collected on this page some of the most frequent issues that may occur. 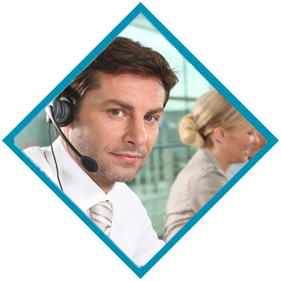 For all the technical questions that are not answered here, our customer service and our Study Centre for Investment Casting are always available, with over 30 years of expertise ready to solve any inconvenience. The crown or the abutment cannot be removed from the die. A) The plaster was not isolated. Isolate it with an isolation agent or die lubricant. B) An unsuitable solution or nail polish was used as a die spacer. Some wax isolation agents melt polishes and varnishes. For a uniform die, it is preferable to use the 0,1 disc, always respecting the 2 mm cervical edge. C) The temperature of the wax casting was too high. D) The crowns have not been removed. Always remove the crowns immediately after pouring the wax to control the isolation and to continue modelling. E) It was not used an extra-hard plaster, or the mix was too thin. Use extra-hard plaster and if it is possible mix it under vacuum. The edges of the crowns are rounded or undefined. A) Too much isolation agent has been used. At the time of the wax casting, make sure that the isolated surfaces are moist but not glossy. B) Mineral oil or vaseline has been used. Use a suitable isolation agent for wax. C) The temperature of the wax casting was not high enough. D) In order to finish the modelling process the pattern was flamed. Do not flame the pattern, because if it is true that it smooths surfaces, it is also true that this action fuses the wax surface modifying thin parts, bending them and rounding the edges. The wax bridge is loose on the dies. A) The crowns have been united to the elements without the proper position checking or with too much wax, poured at one time. Check the position of the dies on the model and the position of crowns on the dies. If necessary, separate and reunite with a small quantity of wax and put in the investment as soon as possible. B) The wax used was not suitable. Use inlay wax and not hard wax. If the laboratory is not extreme clean, it is essential to wash the pattern and all of its dies with boiling water, (to avoid damaging the plaster is better to use water saturated with calcium sulphate, which is easily obtained by adding a spoon of gypsum to the water), or even better with a steam jet at 160 °C before unifying the already moulded pieces in wax. The investment is removed with difficulty from the casting. A) Melt is too hot. You can remove warm or cold investment faster with a polisher (resin), without damaging the structure. The sandblasting process is not faster and damages the softer alloys. B) In general, high temperature investments present greater are harder to remove in particular if immerged in water after the casting, to accelerate incorrectly the cooling, or after cooled in the attempt to remove it more easily. Avoid wetting the investment before polishing; if wet, dry it with a flame or in the furnace and then polish it. C) Over time in the furnace and/or too high temperature. Usually the gypsum-bonded investments with cristobalites are easily removed by vigorous scrubbing it under running water. Softer investments for high temperatures possess lower thermal expansion capacity and therefore easier to deal. NOTE 1: Masses containing reducing agents (ex. Graphite) lose the ability to reduce metal oxides if they remain a long time (more than 10′-15 ‘) in the final temperature. This situation facilitates the formation of bonds between silicon and certain components of the alloy, the ceramic-metal bond type. NOTE 2: Despite the obvious interaction between alloy and investment, in general, no damages are found in depth; it is more an apparent than a real damage it and is to be considered positive in relation to the alloy internal structure and a well-melted alloy indication. With this form of fusion the yellow-greenish colour phenomenon of Pd-Ag based ceramic alloys will not occur, if it occurs it will be very weakly and only with ceramics sensitive to this phenomenon. The structure fit on the dies but the abutment has a concave curve towards the biting surface and it is loose. A) The wax structure was deformed by inattentive removal. This form of inconvenience happens mainly with non-removable patterns. Use removable dies. Resold the alloy until the “casting point”; pour it using the Ariete machine until the reserve will have exhausted its power function. NOTE: insufficient power supply caused by small reserves, too distant or absent. In this case the inner parts of the structure become reserve for the outer parts, which solidify earliest. In the structure there are no porosity, since the decrease occurred at the expense of the entire structure, bending it. We must not forget the real possibility of elastic deformation of the investment. This phenomenon can also occur with sufficient reserves, but with inadequate alloy heating above the liquid point up to the melting point. Rapid cooling of the casting rings. Do not abruptly cool the rings with water. The structure is porous/ The structure looks compact but it is not possible to polish or to solder it easily/ The structure is fragile. A) These are common problems caused by porosity.The possible cause lies in not having adequately powered structures for both the reserve volume, and for excessive distance of the reserve from the structure, and for alloy pouring temperature too low.Exceptionally for burn of some components. Many times porosity is confused for investment inclusion. With a proportional and close reserve, power the structure. Respect the indicated time from liquidus temperature of the alloy up to the melting point, according to the manufacturer’s instructions: always check with Ariete casting machine. NOTE: A fairly easy and corrective action is to put the structure at not more than 2-3 mm of distance from the bottom of the cylinder. Power veneers crowns, boxes and small fused with a 5 mm bar section, and connect them to the structures with short risers/feeder heads of 2-3 mm section. Do not forget that all connections have to be well rounded to prevent the investment from entering into wax gaps badly connected and then be brought along by liquid alloy. To get the correct connections, just use the extremity of the hot tip with little wax. Power the fused parts and crowns with a doubled bar, joined in the same way. A good trick is to connect a thin thread of wax with the larger parts (cast parts, cast crowns, points of union between the two crowns etc.) and orientate it towards the cylinder walls, naturally without touching them. That blind pin like an escape channel, will promote the onset of crystallization in points that are for the most part delicate, because it will dissipate heat quickly and contributes to the reserve action. Remember that among the various types of porosity only one is caused by overheating. It is a very rare occurrence and shows itself as pinholes on the surface of the casting. Normally, the flames and casting machines cannot cause this type of damage. Only a significant operator error may be the cause. When using ARIETE do not forget use a different crucible for each type of metal and a proper flux. Before cutting the pins (feeder heads), mark the sprue to avoid undesired mixtures of the various alloys.